HP has officially unveiled the Palm Pre 2, the successor to the Palm Pre and Palm Pre Plus. This is essentially the first smartphone released since HP has taken over the manufacturing of the Palm Pre. The first was the Palm Pre Plus, but this featured hardly any tinkering from the bods at HP given how close it was to the takeover. As TechRadar reported late last week, the Palm Pre 2 comes with the new WebOS 2.0 and HP is calling the phone "a substantial step in HP's vision to transform how people think, feel and connect." The Palm Pre 2 comes with 'True Multi-tasking', where you can pause a game to check emails, calendars etc. 'Just Type' has also been added, which allows you to type out status notifications, emails and the like before you have loaded the app up. 'HP Synergy' links Facebook, Google, Microsoft Exchange, LinkedIn and Yahoo accounts more efficiently than before. And there is also 'Exhibition'. This is for when you have your phone docked - it turns the handset into a photo or agenda viewer. There is also Flash 10.1 on board, which will keep web browsing-ers happy. 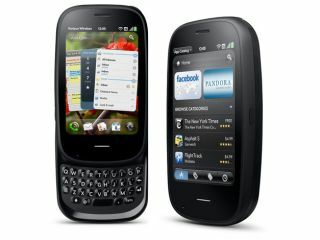 There is no UK release date for the Palm Pre 2 as of yet, but it is coming to France 22 October. The US is said to get the handset in the "coming months". But you can check out the phone at Palm's official US site now.